Formic acid is an irritating chemical present in the sprayed venom of some ant species and in the secretion released from some stinging nettles. It's dangerous at high concentrations, but at low concentrations it's very useful. Humans use formic acid as a food preservative, since it's an antibacterial substance. It’s also used to treat pests, to produce food and cosmetic additives, and to help a variety of industrial processes to occur. Our bodies make small quantities of formic acid from the methanol that we ingest, inhale, or produce. Some of the methanol produced in the body is made from aspartame. The body converts aspartame into aspartic acid, phenylalanine, and methanol. The methanol is then converted into formic acid. Researchers say that the formic acid in our body is generally too dilute to be dangerous, however. Formic acid is the simplest member of the carboxylic acid family. It's also known as methanoic acid. The chemical's molecular formula is HCOOH. The molecule is composed of a carboxyl group (COOH) with a hydrogen atom attached. In the carboxyl group, the carbon atom has a double bond joining it to the oxygen atom and a single bond joining it to the hydroxyl (OH) group. Formic acid can be made synthetically in laboratories. In nature it usually exists in the form of a colorless liquid. This liquid freezes at 8.3 degrees Celsius (46.9 degrees Fahrenheit) and boils at 100.7 degrees Celsius. (213.3 degrees Fahrenheit). It has a strong odor and is often described as having a "pungent" smell. Formic acid got its name from “formica”, the Latin name for ant. An English naturalist named John Ray was the first person to isolate an acid from ants. In 1671 he distilled the crushed bodies of dead ants to extract the acid, which was eventually named formic acid. Ants bite to protect themselves or to attack other creatures. They grab hold of their victim with their mandibles (jaws). Some ant species then sting the victim. The stinger is located at the tip of the abdomen and injects a toxic secretion. Instead of stinging, certain species of ants release a spray of venom from the end of their abdomens. This venom contains formic acid. Some ants bite but do not sting or spray toxic chemicals. Members of the ant subfamily known as the Formicinae have an opening at the tip of their abdomen called an acidopore in place of a stinger. 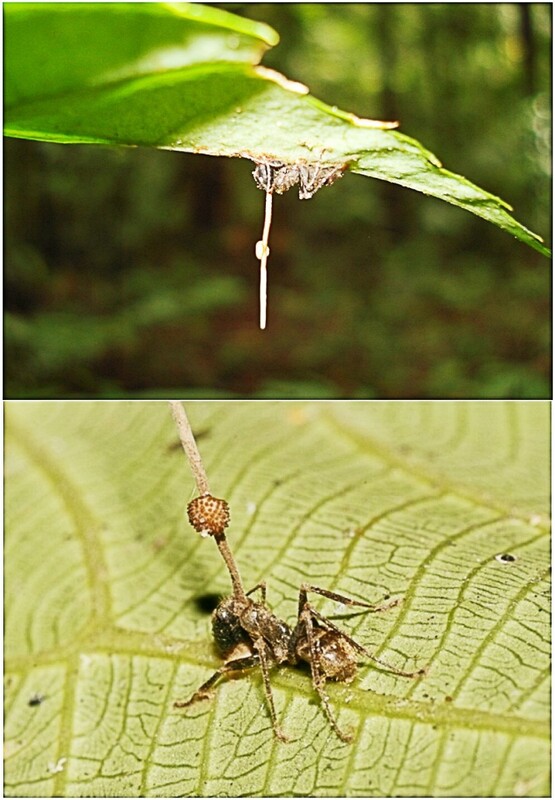 The acidopore releases a spray of formic acid from the ant's venom gland when necessary. Wood ants, yellow crazy ants, and tawny crazy ants all belong to the Formicinae subfamily. Yellow crazy ants (Anoplolepis gracilipes) are invasive and very destructive insects. 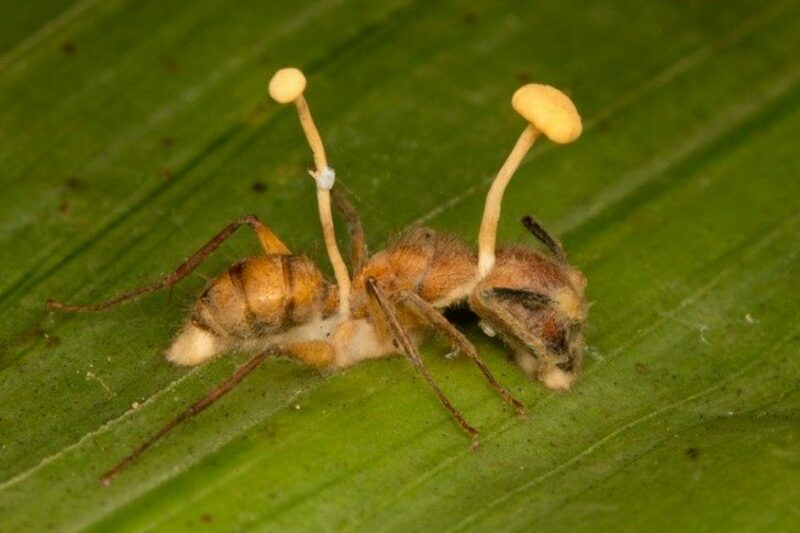 They neither bite nor sting, but they do spray formic acid to subdue their victims. 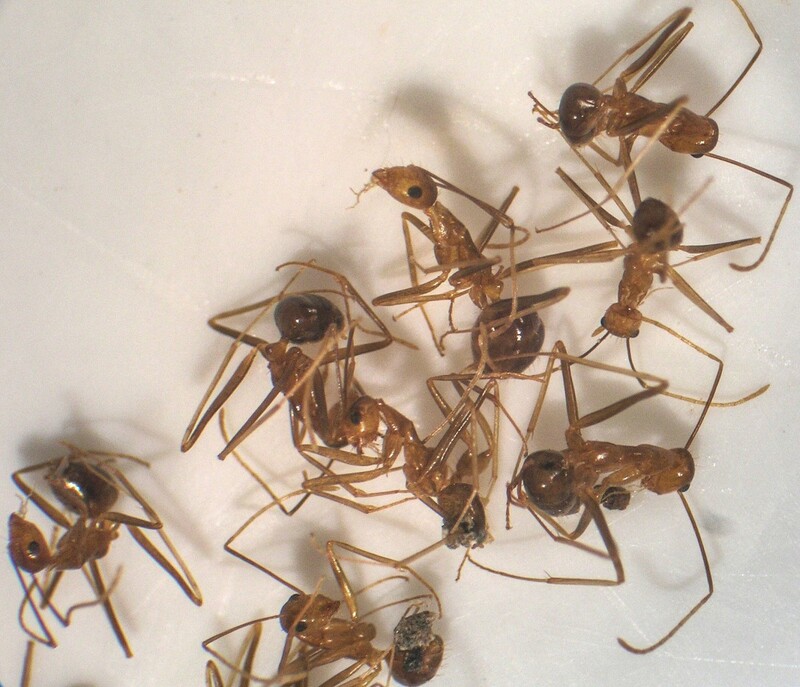 The ants are yellow-brown in color and have long legs and antennae. They're known for behaving frantically when they're disturbed. Yellow crazy ants are versatile creatures. They eat a wide variety of animal tissue as well as honeydew secreted by aphids and other insects. The ants are classified as predatory scavengers. A very worrying aspect of their lives is the ability to form huge supercolonies which have hundreds of queens. The ants have caused some very serious damage to the populations of some animals, including the red crabs on Christmas Island and seabirds in Hawaii. They also interfere with human lives. Sometimes the ant population releases so much formic acid into the air around their nest that breathing becomes painful. Skin and eye contact with the acid is also painful. Like the yellow crazy ant, the tawny crazy ant releases a spray of formic acid as a chemical weapon. It also rubs its formic acid secretion over its body. The covering of acid protects it from the venom of the red imported fire ant. How this protection works is unknown. The stinging venom of red imported fire ants (Solenopsis invicuta) contains alkaloids and some proteins but no formic acid. A fire ant bites to grab hold of a person's skin, then tucks its abdomen under its body so that the stinger can reach the skin and inject its chemicals. The ant then withdraws its stinger, rotates a short distance and stings again, repeating the process until it has formed a circle of stings. Like the red imported fire ant, tawny crazy ants (Nylanderia fulva) were introduced to the United States from South America. The two species can be found in the same habitats. The tawny crazy ant is also known as the Rasberry ant after Tom Rasberry. He discovered the ants in Texas in 2002. Researchers at the University of Texas have discovered an interesting phenomenon in relation to the ants. When a crazy ant is stung by a fire ant, the crazy ant curls its abdomen upwards to its mouth, secretes formic acid from its venom gland, and then rubs the secretion over its body. The process is shown in the video above. The formic acid protects the crazy ant from the fire ant's venom. 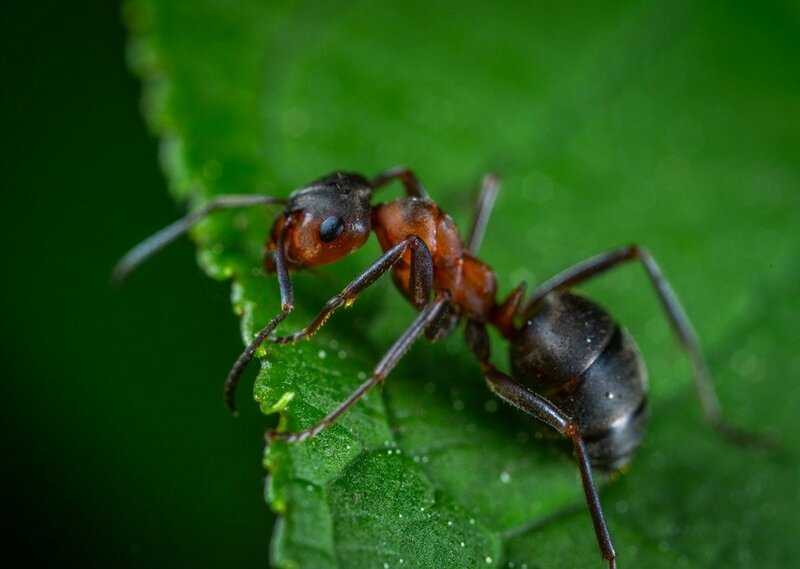 Although the research team doesn't know how the formic acid protects the crazy ant, they suggest that it may denature fire ant enzymes required for the alkaloid in the venom to penetrate cells. The leaves and stems of stinging nettles are covered with hollow, stinging hairs which have walls made of silica. When the hairs are touched, the tip comes off, exposing a needle-like structure which is attached to a venom sac at the base of the hair. The needle then injects the venom into the victim’s skin. The poison of many stinging nettles contains formic acid, although scientists have discovered that other chemicals are also present. These probably contribute to the painful sting. 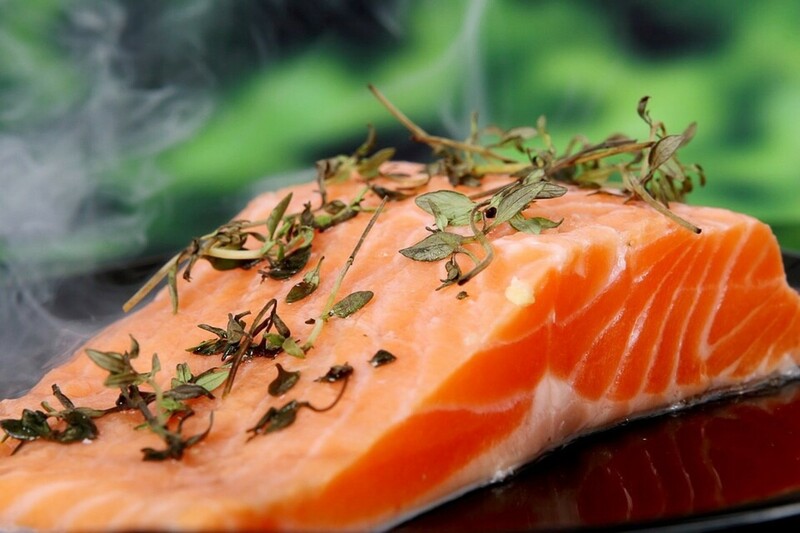 The additional chemicals include acetylcholine, serotonin, and histamine. Histamine is the substance that is released into our bloodstream from mast cells during an allergic reaction. It causes inflammation, swelling, and redness. 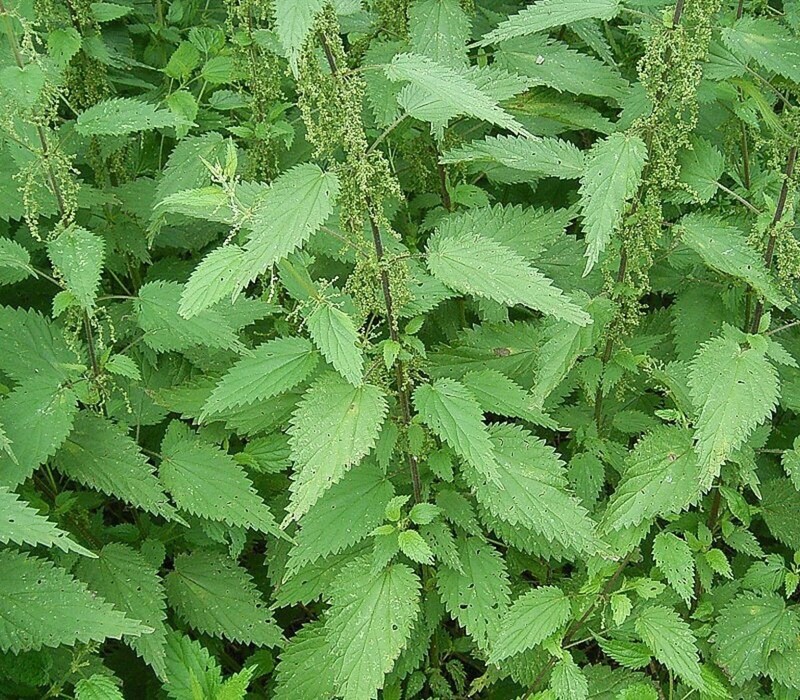 The stinging hairs of some nettles contain oxalic acid and tartaric acid instead of a mixture containing formic acid. Bee venom is a complex mixture of many chemicals. Some sources claim that the venom contains formic acid, but the latest research indicates that neither bee nor wasp venom contains formic acid. Since formic acid is an antibacterial agent, it's frequently added to the feed of farm animals to prevent the growth of bacteria. It's occasionally used as a preservative in human foods. Formic acid is also used to create artificial flavors for foods and drinks and artificial scents for perfumes. In addition, the acid is used in leather tanning, in the processing of textiles and paper, and in the conversion of latex from the rubber tree into rubber. Some birds place living ants amongst their feathers, a behavior known as anting. The ants are very often—but not always—members of the subfamily Formicinae. Scientists don't yet know why birds ant. According to one theory, the formic acid that the ants release kills mites that are attacking the bird’s skin. Humans use formic acid for a similar purpose. 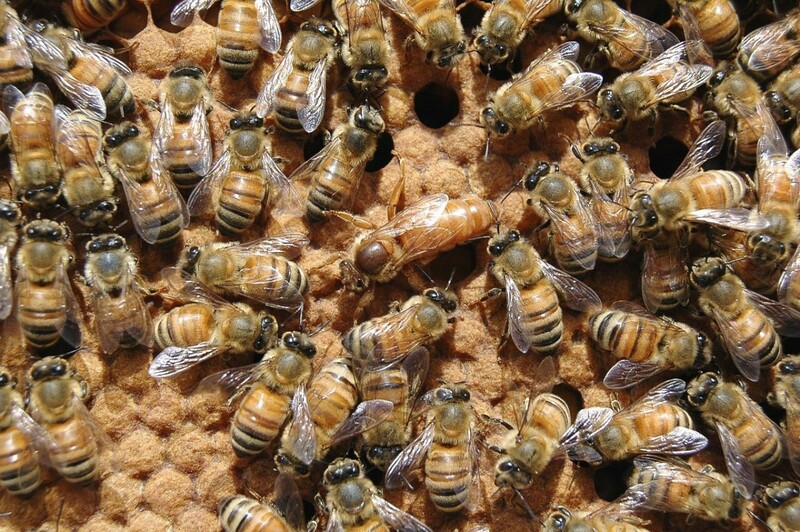 Formic acid preparations are used to kill varroa and tracheal mites which invade honeybee hives and attack the bees. In 2017, a group of university students from the Netherlands created a bus that runs on formic acid. The students say that their fuel is cheaper than hydrogen and is safe for the environment. The fuel is called hydrozene and is created by reacting carbon dioxide with water. The dangers of formic acid depend on its concentration. At higher concentrations formic acid is corrosive, has a strong smell, and produces dangerous fumes. It produces burns and blisters on the skin and injures the eyes and the mucous membranes in the mouth, throat, and respiratory system. Inhaling concentrated formic acid makes breathing difficult. Swallowing the concentrated acid causes severe ulcers (sores) to appear in the digestive tract as well as pain and nausea. Prolonged exposure to formic acid may produce liver or kidney damage. Methanol is made inside our bodies from normal metabolic processes. 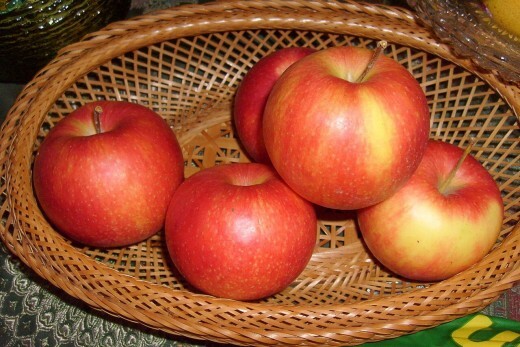 It also enters the body from fruits and vegetables and their juices. In addition, humans produce methanol as well as aspartic acid and phenylalanine from the breakdown of aspartame, an artificial sweetener. Methanol is toxic, but most of us don't encounter enough of the chemical to be harmed. Inside our bodies methanol is converted to formaldehyde, which is classified as a probable human carcinogen (cancer causer). However, the formaldehyde is rapidly transformed into formic acid and doesn’t collect in the body. The formic acid then leaves the body in urine or is changed into carbon dioxide and water. Scientists say that the production of formic acid from methanol in humans only becomes a problem if there is a large amount of methanol in the body, as there would be in methanol poisoning. In this situation, enough formic acid could be made to create a condition called acidosis. Symptoms of acidosis include vision problems, blindness, memory loss, confusion, seizures, coma, low blood pressure, and cardiac arrest. We can’t avoid the normal creation of methanol in our bodies or its entry into the body from healthy foods such as fruits and vegetables, which should be part of our diet. We can control whether we want to add to the methanol load by ingesting foods or drinks sweetened by aspartame. The use of aspartame is controversial. However, health agencies say that a person’s normal exposure to methanol, including the methanol produced from aspartame, is too low to cause health problems. They also say that aspartame is safe, provided the Acceptable Daily Intake (ADI) of 40 mg/kg body weight is not exceeded. There are claims that aspartame makes the symptoms of certain health disorders worse, but at the moment there is no scientific evidence to support these claims. There is one situation in which aspartame is known to be harmful. Aspartame should not be consumed by people suffering from a genetic disorder called phenylketonuria. A person suffering from this disorder is unable to create the enzyme that changes phenylalanine into tyrosine. As a result, phenylalanine accumulates in the body. People with phenylketonuria must follow a low phenylalanine diet to avoid brain damage. Since aspartame breakdown produces phenylalanine, the sweetener must be avoided. Scientists think that formic acid may have played a role in the origin of life on Earth. The acid was first found in interstellar space in 1970 and has been found in meteorites that have reached Earth from space. 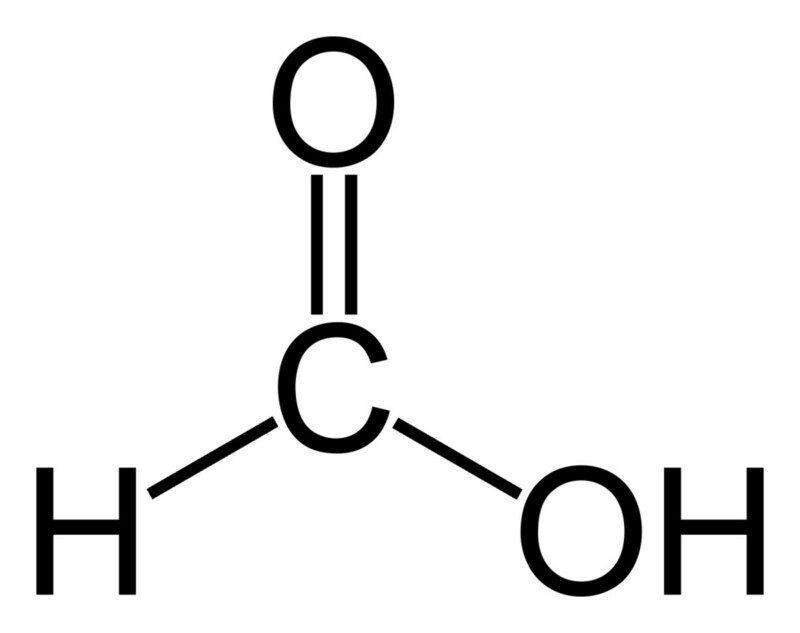 Formic acid has a relatively simple structure and may have been involved in the formation of the more complicated amino acid and nucleic acid molecules found in living things. Amino acids are the building blocks of the proteins inside living things. Nucleic acids are the building blocks of DNA (deoxyribonucleic acid) and RNA (ribonucleic acid). The DNA contains genetic instructions for making our bodies and for controlling its functions. It's located in the nucleus of cells. The code in the DNA "tells" the body which proteins to make. RNA has several vital roles in the body, including reading the DNA's instructions for making proteins, transporting these instructions out of the nucleus to the site of protein synthesis in the cell, and then enabling the cell to make the proteins. The origin of life is a fascinating topic to consider. 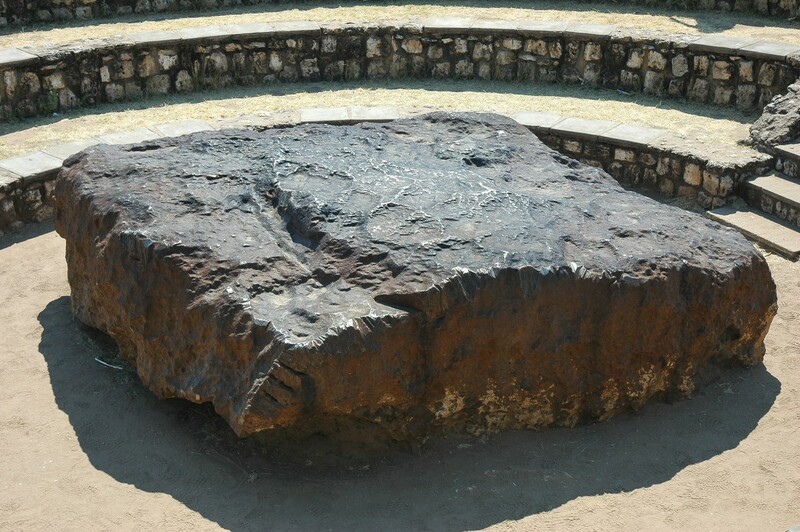 The idea that chemicals were brought to the early Earth via meteorites is often suggested. It's interesting that a simple chemical such as formic acid is important in our lives today and may have been even more important in the distant past. One weaver ant bit my face. Now, that spot has become black. What is the solution for that? I'm not a health care professional, so the best advice that I can give you is to visit a doctor so that he or she can look at the bite and treat it. If other symptoms appear besides a black spot, a doctor should be visited immediately. We have a machine that makes rubber sheets. During the process of making rubber sheets from rubber milk, we have to add formic acid to the milk. Is formic acid dangerous to humans? Yes, formic acid can be harmful to humans, depending on the concentration. I don't know what concentration of formic acid you use to make rubber sheets, but you should know this since you are involved (or about to become involved) in rubber production. Concentrated formic acid is dangerous. Read the label and information sheet that comes with the formic acid carefully, contact the manufacturer if necessary, and do some research about the safety of the particular concentration of acid that you need to use. Anyone who plans to make rubber should investigate all the details, requirements, and safety rules before they buy, accept or use rubber-making equipment. Whether you are making rubber as a business or as a hobby, it's very important to know how to perform all the steps safely and to know about any potential dangers. How much formic acid is in one black ant? The name “black ant” is used for several different species of insects, including the black carpenter ant (Camponotus pennsylvanicus). 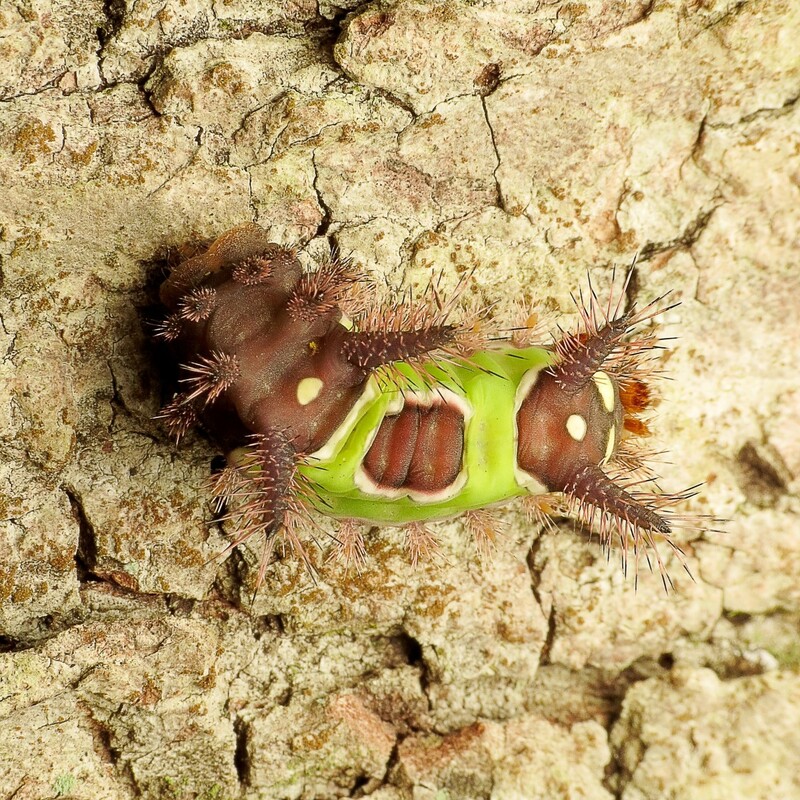 This species may bite humans if it feels threatened and also spray formic acid into the wound. The acid is concentrated enough and is released in sufficient quantity to be painful for humans. I haven’t seen reports of any research that has measured how much formic acid is present in the ant, however. In our building we have a little tree that we want to remove. Can formic acid be used to destroy the tree? If you want to destroy a tree, you need to dig it up by its roots. You say that the tree is little, so the job shouldn’t be too hard. Formic acid may kill leaves. A major problem with using the acid to do this is that it may need to be concentrated in order to work, which might be dangerous for humans. In addition, the roots of the tree will still have to be removed. We rent a house and it is full of carpenter ants. We kill at least 50 a day. Are they harmful? Or is it harmful when they decay? Carpenter ants chew wood to create holes for their nest, although they don’t eat the wood. They are beneficial in nature because they help make compost. They may be a pest in buildings, however, because they create structural damage in wooden structures. This is especially likely if the wood is damp. Carpenter ants don’t spread disease. They may bite if they are disturbed, though. Dead insects should be removed when they are discovered. The decay of a large number of dead insects by microbes might release debris and spores that irritate the airways of some people. Do you know what % formic acid would be safe for treating skin problems without irritating the skin? Is 3% formic acid both effective and safe? Since I am a bee-keeper I have formic acid at home. No one should make their own skin medicine from the formic acid that they have at home. The chemical is far too dangerous for this. Anyone with a skin problem that they would like to treat with a pre-made pharmaceutical formic acid preparation should talk to their doctor or their pharmacist. The person needs first to discover whether the product is safe and likely to be helpful for their problem and then make sure that they follow the instructions accompanying the product very carefully. Yes, people do need to be careful with formic acid. Its danger depends on its concentration, though. Concentrated formic acid is dangerous. The very dilute acid isn't. The public must be aware of the dangers formic acid poses to them. Unless the concerned authorities educate the public on possible dangers, disaster can strike anytime. Scorpion venom is a complex mixture of substances, including proteins and peptides. If you do an Internet search for "scorpion sting Mayo Clinic" you'll find professional information about treating a sting. If that information doesn't help, make sure that you see a doctor. Yes, OSHA (Occupational Safety and Health Administration) says that the legal airborne permissible exposure limit is 5 ppm averaged over an eight-hour work day. The thought of inhaling formic acid doesn’t sound very pleasant. The maximum permissable concentration of Formic Acid in air is 5 parts per million. Sounds sort of dangerous to me. This is not fully discussed in the article. Hi, Neal. I've never seen any information about using formic acid from yellow crazy ants as a cleaning agent. Good Day Ma'am. We are currently working with our research about the formic/methanoic acid from yellow crazy ant as an alternative cleaning agent. Ma'am is there any existing research similar to ours? Thank you for you kind consideration! Hi, Amol. I'm afraid that I can't answer your question. 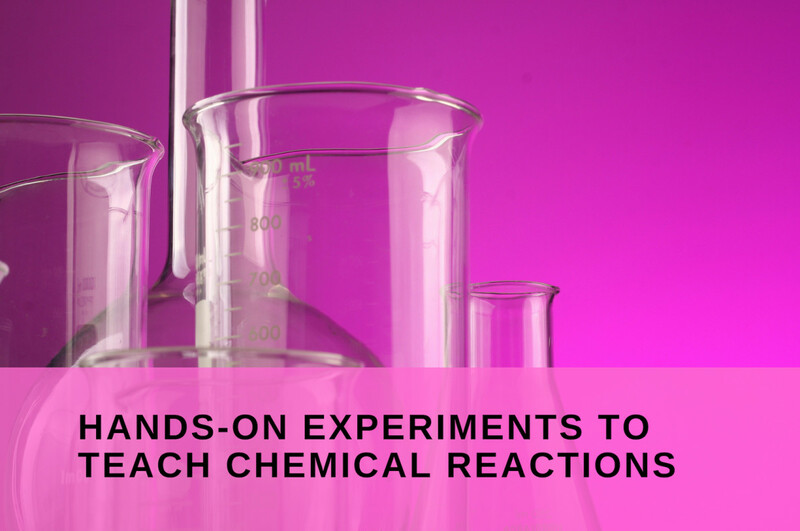 Perhaps a professional chemist who works with active pharmaceutical ingredients can help you. I hesitate to make a definite recommendation when the lives of honey bees are at stake. Formic acid is used to kill mites in bee hives, but I think it's best that you ask a pesticide or bee expert about the safest and most effective concentration to use in your situation. If I were to use the mite control containing formic acid for my honey bee hives, would it also attract ants into my hives? Ants can be damaging to an apiary as mites. Also, would the formic acid be dangerous to the bees? If so, would it be possible to dilute the miticide to a safe level for the bees and still be effective for mite reduction? I'm sorry, Guillermo, I can't answer your questions with certainty. It would be better to contact a scientist or an agriculturist who has experience in using formic acid in fertilizer. hello mam Linda, it is very fortunate for us, the farmer, the uses of formic acid to our small farm but I had an inquiry regarding the disposal/ reusing of used diluted formic acid (used in coagulating rubber latex). Is it possible to reuse the diluted formic acid in swine manure to reduce its bacteria with-out degrading its properties in land fertilization? Or does it effect the production of methane gas upon addition to the biodigester of swine manure? hoping you could share us some ideas about this matter. This sounds like a horrible situation. I hope the real cause of the blindness is discovered, whether it's due to fire ant bites, a fungus, or another cause. I'm not a research scientist so I wouldn't be able to help you. I hope someone can, though. Aloha- we have had the LFA introduced here on the Big Island and now up to 30% of our pets have issues with a clouding over of their eyes. They are saying it is from the LFA bites and the venom in their bloodstream but I have noted that a lot of these pets only have this issue of blindness in only one eye and no one has ever documented an actual ant biting an eyeball. It is my belief that another substance that found its way here (the Rapid Ohia Tree Death fungus) that may be the culprit and that they are not doing the correct research on our pets blindness by only claiming the LFA as the problem. 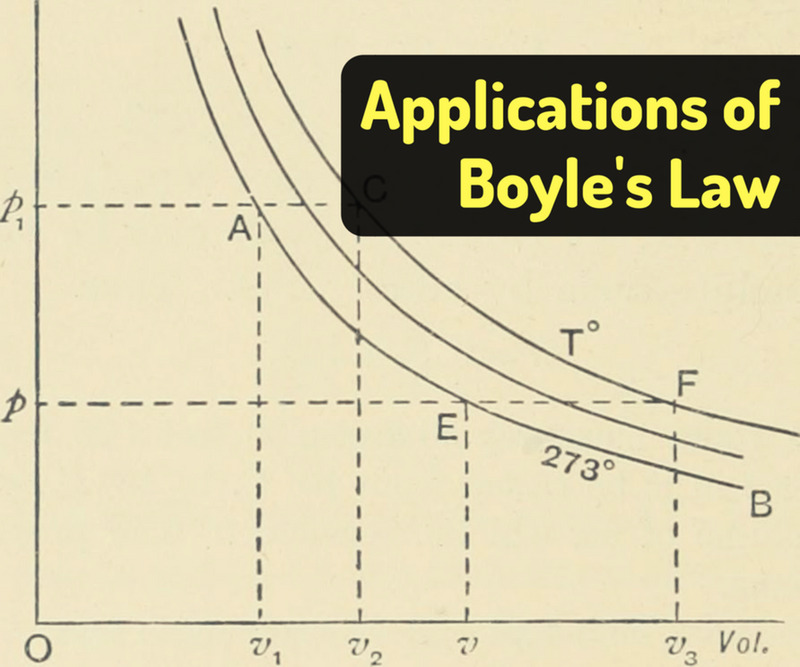 The LFA was actually here longer than the OTF problem. And the blindness only began after the OTF began killing our trees. Can you possibly shed some light on our issue and help save Hawaii Pets?? I would happily share my research and offer a cabin if you would like to visit here and help. Mahalo Nui Loa Rev. Joe Miller hulahipshawaii@hotmail.com. Thanks for the comment, Infofreak. Industrial use of formic acid is an important topic, though it doesn't quite fit in with the theme of the article. Great stuff, but no mention of industrial uses of Formic acid,just a link would do,however we are into an environmental save the planet time so industry has to take a back seat, unless it's wave power, wind power,mrthane collection from cows.Good stuff thanks. Excellent work, well done! I always read your works with great pleasure, each time discovering something new. Thanks for the comment, Ron. I don't choose the links, but I know that they change quite frequently. Perhaps you'll prefer the next one that appears. Interesting article. Too bad that right next to it is a link saying how a "homeopathic formic ant remedy" relieves arthritis and gout. Hi, Carson. I'm glad that you found the article interesting and helpful. Thank you for commenting. I live in New Zealand and I'm in the middle of my end of year exams at high school. Acids is one of the topics in the exams and I thought this was very helpful and very interesting for someone my age. Hi, Steve. Thank you for the interesting comment. Since I'm a science writer and educator but not a health professional, I think you should consult a public health agency about your situation. Formaldehyde is converted to formic acid in certain situations. I think you should definitely investigate how formaldehyde is entering the body of your team members (if it is), why there is an increased level of formic acid in their urine and whether this is a health problem. Professionals involved in public health should be able to help you. Good luck. Alicia, good afternoon hope you are well. I have a couple of questions for you,, but let me explain, I work for poultry company and our team members have annual health checks, this year urine samples were taken and a couple of people had raised levels of formic acid in their urine. the reason for the urine test was, we use formaldehyde when cleaning houses and we wanted to see if they hhad levels of this in their system. So firstly would formaldehyde be present in the body as formic acid? What is the main entry route into the body? Is it by inhalation, contact with the skin. I know they use formic acid in poultry food as a preservative. I know there will probably be more questions once you read this and reply. Thank you, ramlochan yadav. I appreciate your visit. Very nice and useful. Thanks about this. Thanks for the visit and the comment, jbosh1972. Fascinating article! I especially enjoyed the part about formic acid in space. It is quite paradoxal how a molecule so essential to life can be so toxic in certain situations. I would like to mention the concentrated acid is downright caustic not just irritant causing painful blisters. This sounds interesting! I know that some ants are edible, but I wouldn't want to try eating them myself unless I knew that the species was safe. Today I was eating a peach and tasted an ant. It was strange so I tasted another. It seemed I could taste the ant before my tongue touched it. The acid taste was clean and quick like carbonic but unlike acetic. I liked it. Does anyone know about this? Thanks for the visit and the comment, Steph. Insect toxins are interesting to investigate, even though they can have painful effects, like your swollen ankle! Thank you very much, wowtgp. Thank you for the comment, wqaindia! This is a really informative and helpful hub. Thank you for the comment, osaeoppongde! Formic acid is corrosive and damages tissues of humans and many other animals, but I don't know whether it interferes with metabolic pathways. Fascinating article! Very comprehensive! 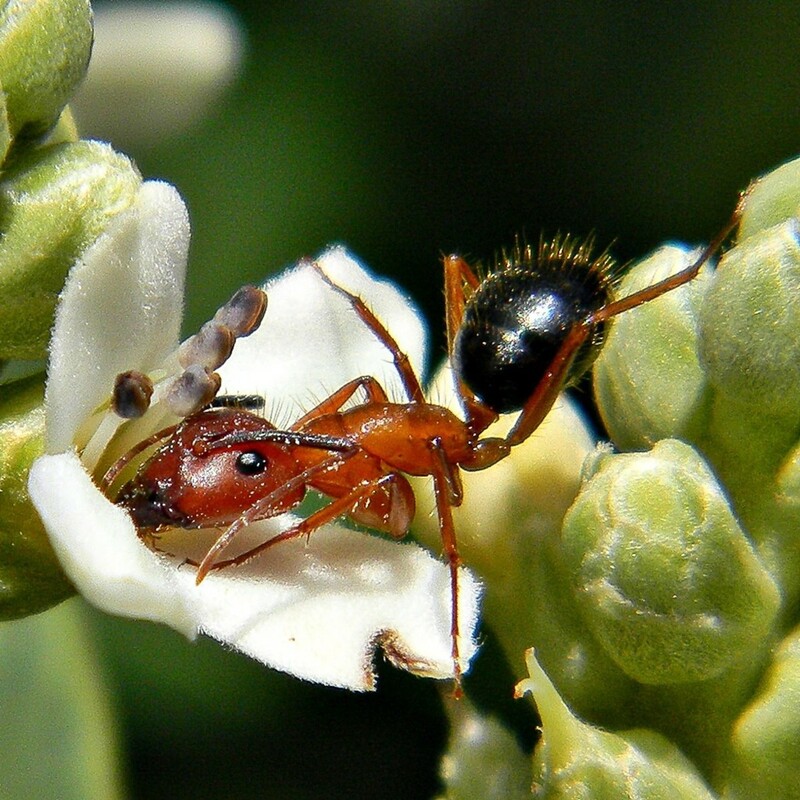 The fact that ants are able to use it to sting their victims is interesting - do you know what effect the poison has on the prey, or predator for that matter? Is it a metabolic pathway that's disrupted? Hi, Stanley. Formic acid is used in some cleaning solutions, but I've never heard of it being used to remove dirt from gold jewelry. It's important that any formic acid cleaning solution is dilute. The concentrated acid is corrosive to human skin and air passages. please advise--can i utilize it to clear gold chain? Thank you very much for the comment, T! I appreciate it. I saw a comment about "low detail" and "short," but for a high school freshman taking physical science for the first time, it was great info! I understood everything and learned some things. Thank you for the visit, donabhatt. I appreciate your comment. Great hub...it really takes patience and knowledge to write science meant for everybody. Hi, Natasha. Thanks for commenting and for describing your experience. It is very interesting when we discover that traditional methods of treating injuries and diseases actually work! Wow, I had no idea that the human body produces menthol. I was bitten by a lot of ants just the other day. I quickly made a baking soda paste and spread it all over my ankles/feet. The base counteracts the ant's acid and dramatically reduced the inflammation for me. It was pretty cool to see a folk remedy actually work! Hi, TheChemGuy. Thanks for the comment. This hub is meant to be an overview of formic acid and its relation to living things. 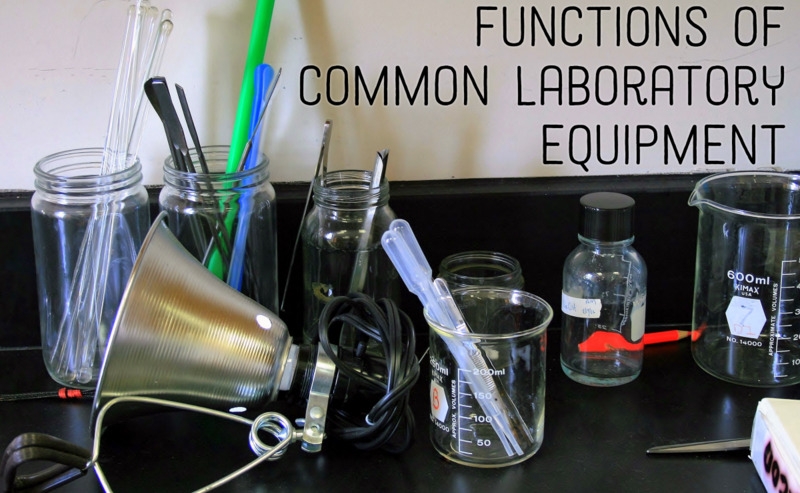 It was created for people who might not have a chemistry background and wasn't meant to be a detailed chemical description of the substance. Thank you for the comment, Nori30. Formic acid is an interesting chemical to write about! Hi, PADDYBOY60. Thank you for the comment! It's nice to meet you. I learned a lot on this hub. Thanks. Thank you, martin the sprout. I appreciate your comment. Thank you for the visit and comment, swati verma! You have a very scientific brain Alicia, very interesting stuff, but I could never remember it all! This is great Information, Thanks then. Thank you very much for the visit and the kind comment, Chatkath! Very interesting stuff Alicia! I always learn so much by reading your hubs. Very well done!